CRICKET: International cricketers' union boss Tony Irish has attacked the ICC over its handling of the Faf du Plessis ball-tampering case. The Proteas skipper has since appealed the decision to find him guilty and issue a fine - his entire match fee from the second Test against Australia in Hobart. Irish, who is also head of the South African players' union, said "guilt can't be based on speculation of intentions”. "In a charge of actually altering the condition of the ball, all elements of this charge must be proved,” Irish said. "(This is) especially because there's a suggestion of actually having cheated. The laws of cricket allow players to "polish the ball provided that no artificial substance is used and that such polishing wastes no time”. 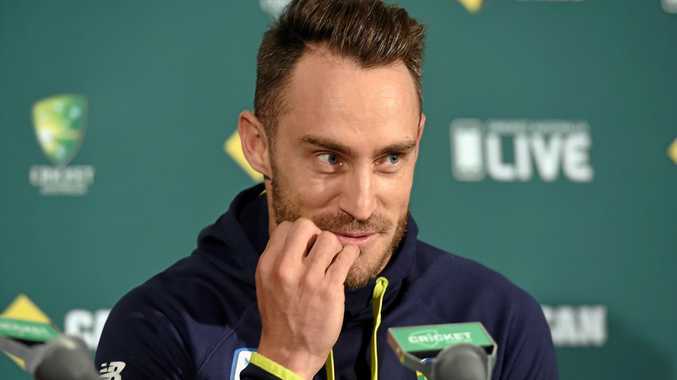 "Faf's case puts the focus on how the ICC dealt with this procedurally,” Irish said.